Alec Maier is a pioneer in the truest sense of the word. 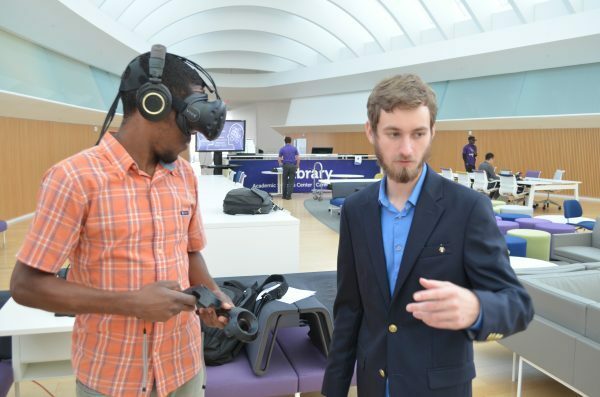 The Florida Polytechnic University freshman stands among the growing group of game developers testing the limits of virtual reality. He’s already developed a bestselling game in Holopoint, an immersive archery battle that keeps players on their toes as they try to repel waves of ninjas. But that’s just a start for Alec. “Traditional video games don’t really interest me. This is something entirely new. It’s filling a space where there was nothing before,” he says. Alec got his start in programming and code around the age of six. He quickly graduated from the basics to full-on programming in game engines. Research into virtual reality last year inspired him to reach out to online gaming platform Steam and ask for a chance to code a VR game. His gamble worked. The company sent him the equipment and a month deadline to come up with a game. His first effort tanked. “It made people sick; it was horrifying,” Alec says. Undaunted, Alec made a list of everything wrong with the first game and set out to do the opposite. While virtual reality technology has been around for years, its equipment has traditionally been too clunky and expensive for widespread use. Also hampering its development was a lack of a universal coding language; any virtual reality program would only work on the system for which it was created. That all changed in the last year with the debut of open source virtual reality coding. Programmers like Alec can use this code and create games that will work on any virtual reality platform. That doesn’t mean it’s easy, though. To make Holopoint a reality, Alec quit his after-school jobs and dedicated himself to hours and hours of testing and experimenting with virtual reality. The same immersive qualities that make VR so popular are also what make it so challenging to program. The mind and body are at odds with VR and, without careful programming, motion sickness can quickly spoil the experience. Game reviews of Holopoint praise its simple layout and intuitive gameplay. Alec’s knowledge has taken him to this point, but he’s still eager to grow and develop as a programmer. 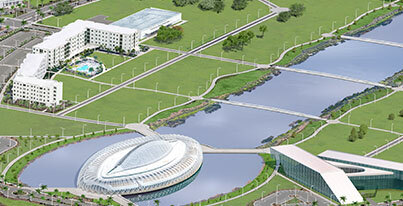 That’s why he chose Florida Poly as his university. By studying cyber gaming, Alec hopes to grow and expand his skills and enjoy four years with like-minded students. “It’s really cool getting in on the ground floor of this field. I can’t wait to see what the future holds,” Alec says.